Fitness training programs are capturing the attention of individuals around the country. Whether its CrossFit gyms, yoga studios, small group training, people are looking to take their fitness to the next level. As a gym or fitness studio owner, you thrive on making positive changes with individuals seeking to improve their health. 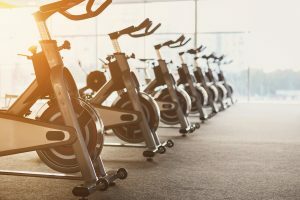 Each gym or fitness studio owner needs to make sure they are protecting their business investment. It’s easy to do when you speak with an insurance agent at Insurance Brokers of Arizona. We don’t settle for basic insurance, but ensure you are set up with specific insurance coverage that is tailored to your gym or studio. We have the ability to search a wide variety of insurance companies to find the perfect fit for you.